Onset Marketing helps companies establish a strong consistent differentiated marketing message that helps create your brand image and build market presence. Your company’s marketing message serves as the foundation for all your marketing and sales efforts. The marketing message conveys why your target clients should care about your company and its products and services. It consists of a marketing positioning statement and supporting statements. Your marketing positioning statement defines your company, the market(s) it serves, the value of what you offer and why they should buy it from you. Your positioning statement serves as the centralized theme for your marketing activities. Your marketing brand image is the perception people think of when they hear your company’s name, products or services. Branding results from your complete marketing strategy. Brand equity must be earned. You need to consistently express your business both visually and in words. Your company name, colors, logo, website and sales materials should express your company’s identity to support and convey what you do. 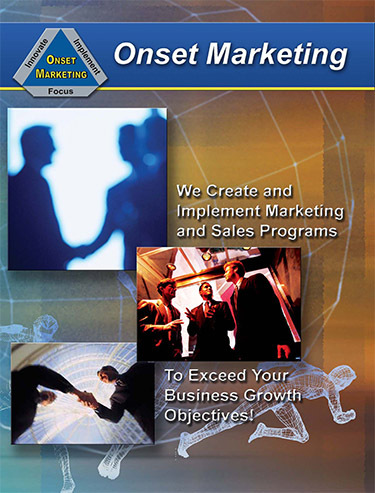 We create attractive sales materials to make our clients’ products, services and solutions more sellable. 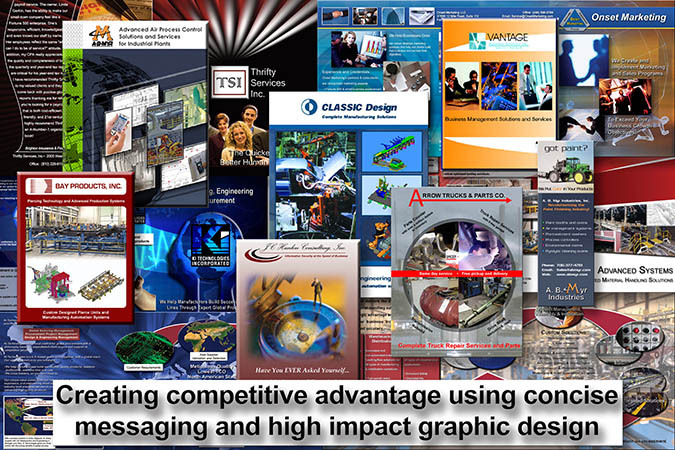 Create competitive advantage for our clients through concise marketing communications, identity and high impact graphic design. We invest time in understanding our clients, their markets, and their customers to create solutions that capture attention and create results. This comprehensive process of clearly understanding, developing and communicating key information is how we help our clients increase sales. From concept to design, implementation and printing, we provide a highly efficient framework for producing exceptional marketing materials. Our graphic design team has broad experience producing custom publications for a wide variety of business and consumer audiences.